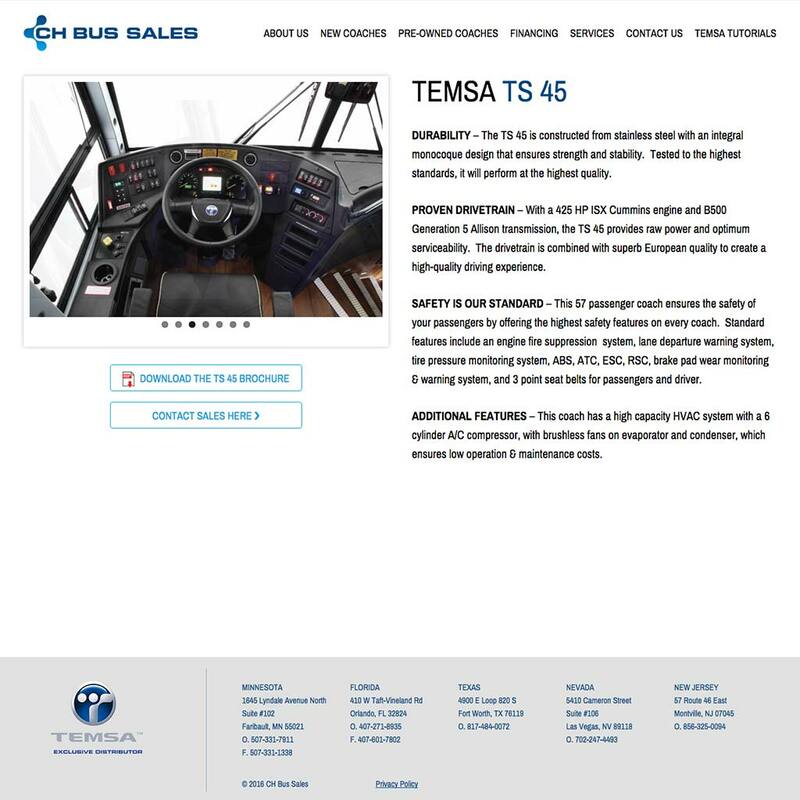 CH Bus Sales needed a website refresh to support their motorcoach sales business. 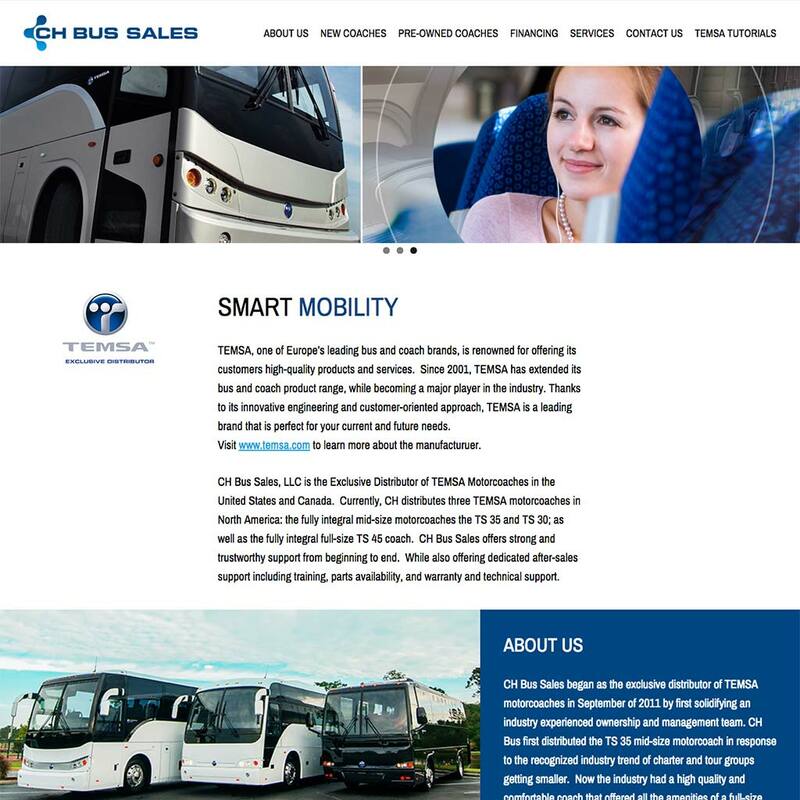 While employed at Three North Agency, I worked from designs done in house to develop a custom, responsive WordPress website that presented all vital content on the home page. I also developed a custom post system for managing and displaying their many organizational contacts in order to reduce redundant data entry.